In our store you will find 28mm fantasy pro painted miniatures for sale for your favourite rpg games. Dungeons and Dragons (D&D miniatures), Pathfinder, Star Wars, Cyberpunk, also board games miniatures (Dungeons&Dragons, Descent, Massive Darkness, Blood Rage, Rising Sun board game, etc). 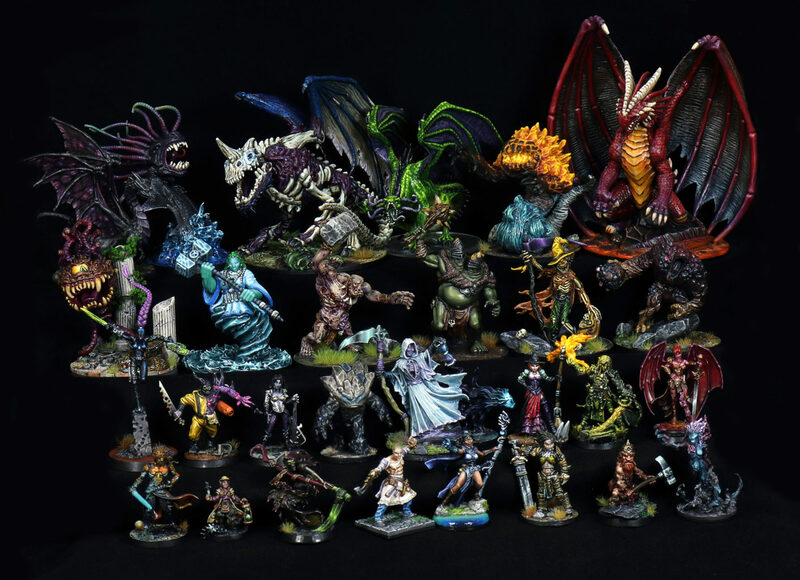 We paint miniatures of almost all brands, but most common are: Reaper miniatures and D&D miniatures. Also Wizkids, Hero Forge minis, Warhammer 40k, Warhammer Age of Sigmar and other war games miniatures and gaming figures. Do you like our paintjob and our painted miniatures for sale? Comment and follow us on Facebook or Instagram!